Internet sees dozens of new online shopping websites or e-commerce businesses each day and even if it seems that this is an easy business, it’s actually not. Starting an online shopping store is difficult and turning it into a great source of profit is even harder. There are hundreds of e-commerce marketing tips and tricks on how you can increase your sales but most of them don’t work without a proper strategy and execution plan. A strategy is something that gives you a nudge in the right direction at the right time. A marketing technique has different effects if used without an execution plan. It doesn’t matter if you have a small local business or an online shopping website that operates around the globe like Amazon Best Sellers or eBay, increase in sales and clientele is the key goal of every company. Customers and online shoppers always hate that they are shown irrelevant ads and products that they don’t need. This can actually drive potential buyers away from your website. The old spray and pray strategy, where you could just advertise dozens of products and wish someone will take interest in them, are gone and now it’s the era of more personalized and individually designed shopping experience. You can use various tools to evaluate behavior and shopping habits of visitors and then you can send them personalized messages about new products and items that are on sale. This will ensure that the visitors are shown the products they actually want and it will definitely result in more purchase. It doesn’t make any sense to invest on marketing the products that are either old or unpopular among online shoppers. Instead, you should focus more on high-in-demand products that people like the most. Take a look at your inventory and separate the items that haven’t sold a single unit in past month or the products that have new and advanced models. Once these items are separated, you should put them on discount price to get rid of old items, make room for new products and generate extra cash quickly. It’s always possible that no matter how sophisticated and complete your website is, there will be some visitors that can’t find something or can’t understand a particular product. Some people still prefer shopping in the market because if they have any question, they can ask the salesman. This is what you need to include on your website. Having a live chat option available on your website is one of the great e-commerce marketing tips because this will allow the visitors to understand particular products, get answers for their questions and concerns and share their experience with the operators. You can remember the last time you were seeing lots pop-up message on a website and you instantly decided to leave. Even if this never happened to you, if you don’t use pop-ups wisely, this is what visitors will do if they see the same issue on your website. It doesn’t mean you just remove the pop-ups all together but use them in a certain way because they contain lots of potential for increased sales. By examining the behavior of each visitor, you can show them pop-up messages that contain discount for the first purchase or you can ask them to give you email address for a discount coupon. This can also be used for displaying new products that visitors might take interest in. Now, this is something that is quite interesting. A research shows that even if a customer spends hundreds of dollars on products online, they don’t want to pay for the shipping costs. They always want to go to a website that offers free shipping and majority says that they would prefer free shipping offer rather than other discounts and promotions on the purchase. This doesn’t make any sense but according to e-commerce marketing tips guru, when a customer evaluates that they don’t need to pay for delivery charges, they get the feeling that they went outside for shopping in a store to save money rather than just sitting on the couch and paying extra for same items. 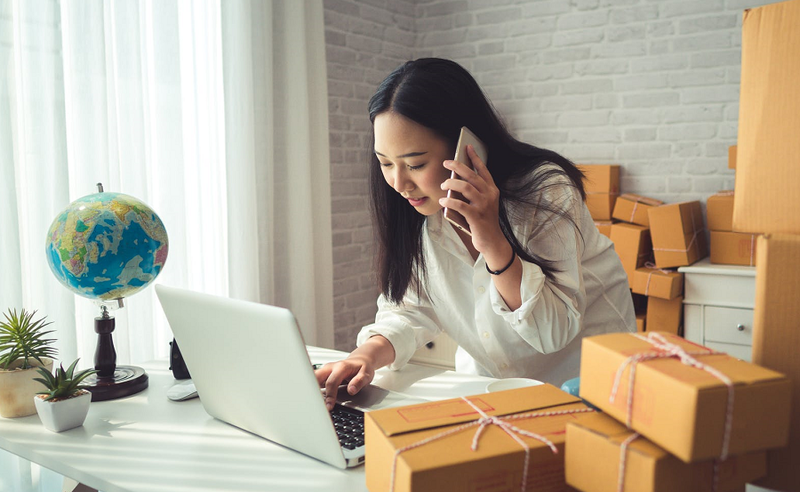 If your website doesn’t offer free shipping, it’s time to add this option to your online shopping store for an instant boost in sales.